Having friends over for dinner? 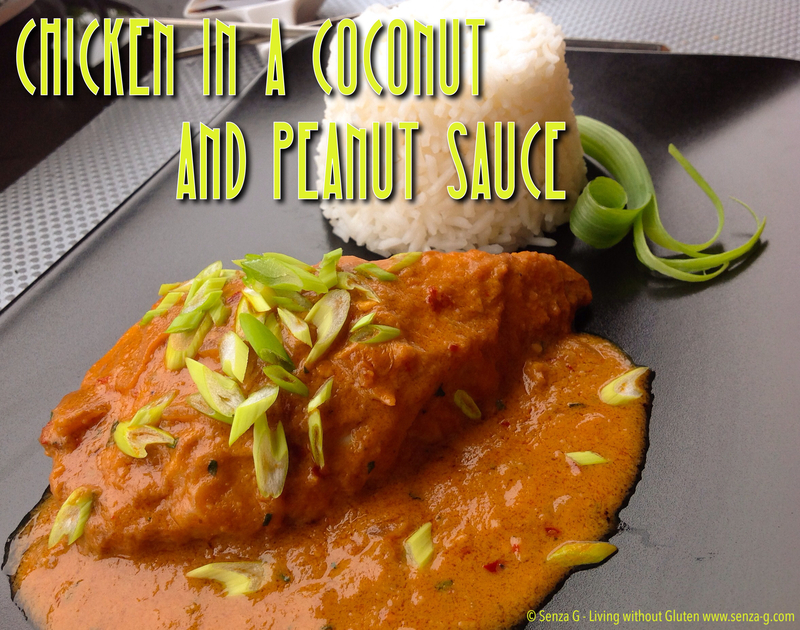 This Chicken in a Coconut & Peanut Sauce is really simple to make but yet would make quite an elegant main course. Sauté the onions in a little oil, followed by the garlic. Do not let the garlic brown. Remove from the pan and sauté the chicken breasts on both sides until golden. In the meantime you can prepare the sauce. In a small bowl, combine the chicken stock, the sesame oil, fish sauce, Sriracha Sauce, peanut butter, chilli flakes if using, tomato puree and finally the coconut milk. Mix well until all the ingredients are combined and the sauce is smooth. Return the onions and garlic to the chicken in the pan and pour the sauce over the chicken breasts to completely cover. Increase the heat but do not let it boil. Lower the heat again, cover and cook for about an hour or so, stirring occasionally. Taste & Season. Serve with plain boiled rice, sprinkled with the sliced spring onions.